Family barbecue coming up tomorrow so I decided to bake some yummy treats for everyone. 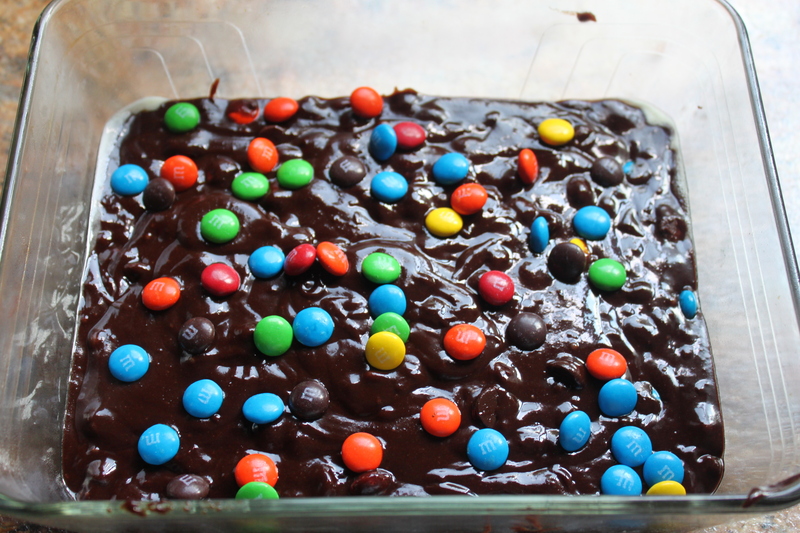 For the kids, I made some triple chocolate M&M brownies! For the adults, I made a delicious, organic carrot cake. Yummm – a mouth-watering array of desserts to satisfy every individual person’s taste whether chocolatey, sugary, healthy, organic, or just plain delicious! 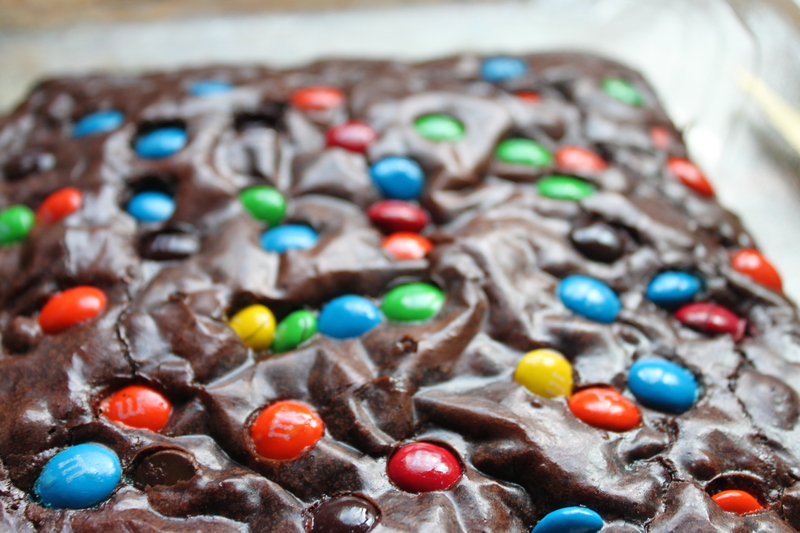 I made the M&M brownies by using my favorite brownie mix from Ghirardelli and simply decided myself to make it more decadent for my little cousins and siblings by adding the M&Ms. You can even add nuts, dried fruit, more chocolate chips, or just bake the brownies straight from the mix, whatever you want to make it delicious for you. 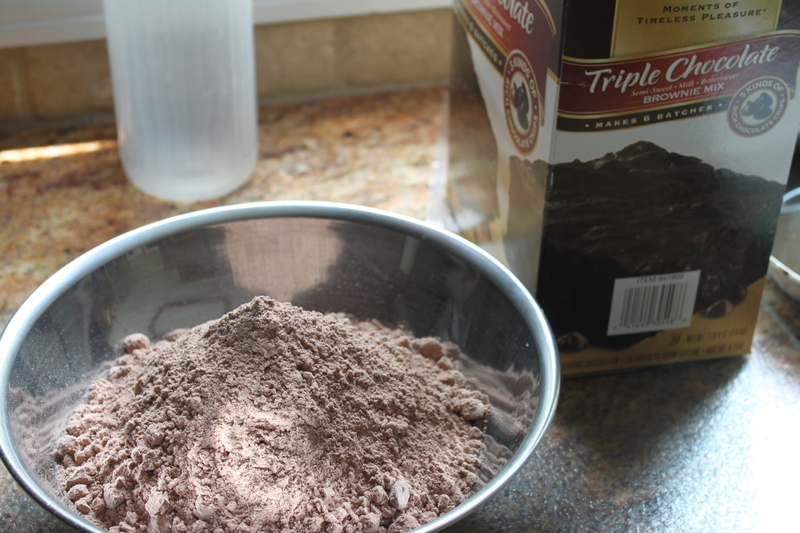 Also, when you buy the brownie mix, you’ll see that the recipe calls for vegetable oil. Eeek – I hate cooking, baking, doing anything with vegetable oil. It’s not good for you, period. I substituted what the recipe called for with canola oil (shh, don’t tell the kids!). 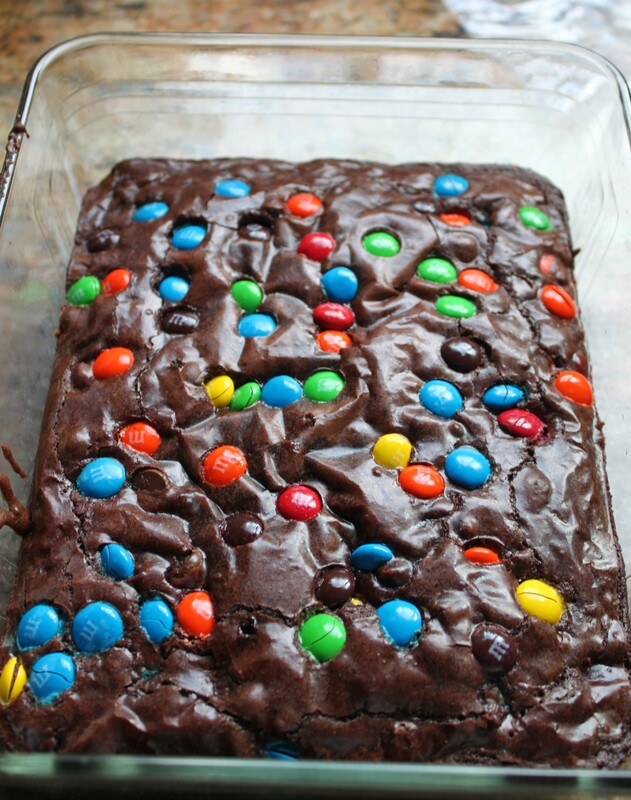 Honestly, the brownies don’t taste any different and the texture is just as moist and chocolately so I highly recommend substituting for the vegetable oil. 1. 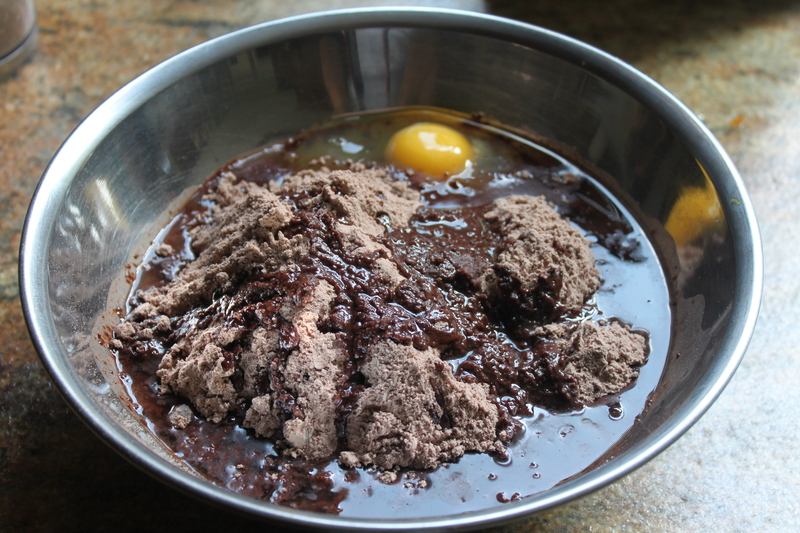 Preheat the oven to 325 F. In the meantime, pour the brownie mix into a mixing bowl. 2. Add the eggs, water, and oil into the bowl. Mix thoroughly. 3. 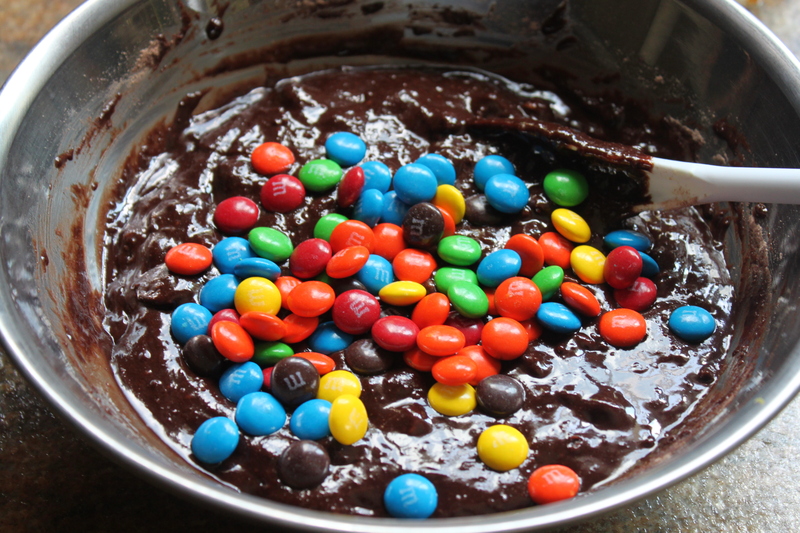 Fold in about 2/3rds of the M&Ms and mix evenly till they are distributed throughout the batter. 4. Spray your pan or oven-friendly container with PAM or line with some oil/butter. 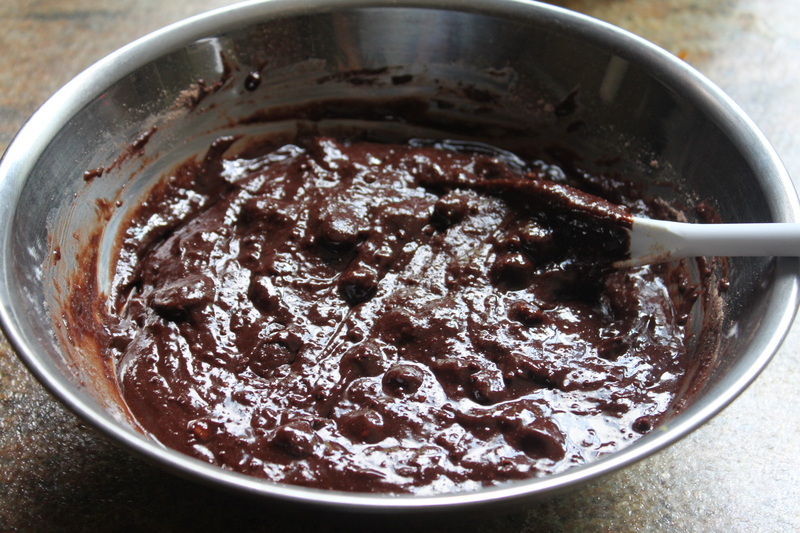 Pour the batter into the pan and allow it to evenly spread out, which it will do by itself just give it a few minutes. The recommended pan size is 8″ x 8″ or 9″ x 9″. 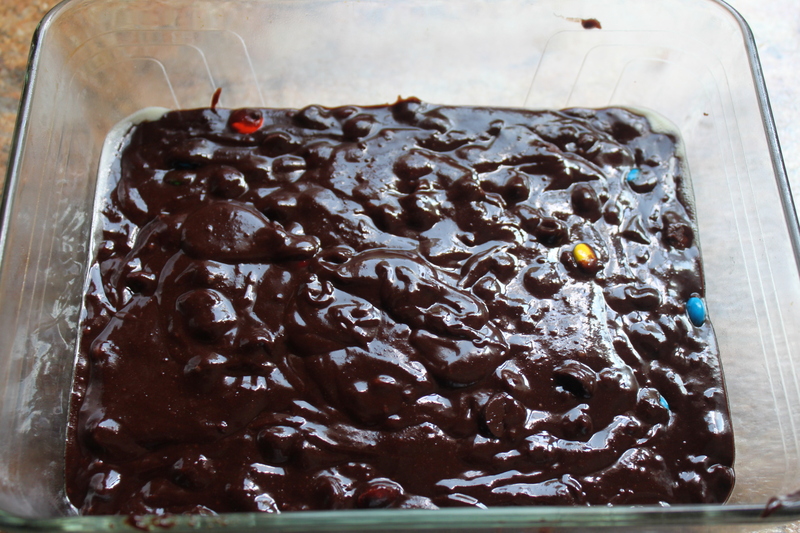 Once the batter is evenly distributed, sprinkle the remaining M&Ms across the top. 5. Bake for ~ 45 minutes and check that the brownies are completely baked with a toothpick. 6. Let the brownies cool for about 30 minutes and then using a sharp knife, cut them into 16 evenly-sized pieces. Refrigerate till you plan to enjoy (simply remove them from the fridge about 15 minutes before you want to enjoy)!